How fast are the summer holidays going? I can't believe we have already reached August! 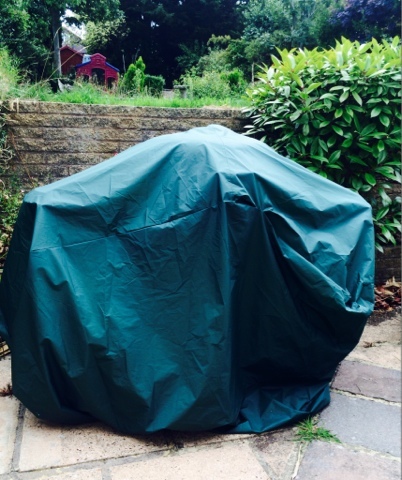 We have yet to really touch the garden in our new house but I was keen to start off a BBQ here for the children to really get involved with - it's one of those things that has to be done in the holidays don't you think? The delivery from Primrose was impressively fast - we had next day delivery. The BBQ arrived in bits, there was quite a lot of building to be done, the instructions could do with improvement, they weren't particularly clear and hubby had to apply a lot of force to get some parts to fit, such as this joining part in the photo below. There were a few small bumps, dents and rusty bits which I'm not sure how I feel about! 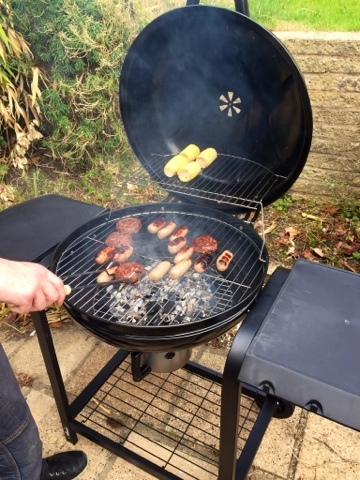 One o the things that drew me to this particular BBQ is the Ash Collector, this is really handy, not only does it collect all the ash and run off from cooking making cleaning a lot easier, but it also has holes you can use to help control the heat of the BBQ. 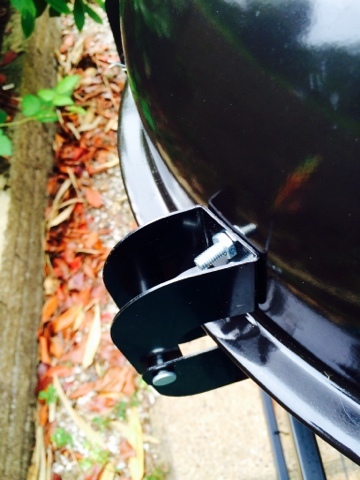 The lower rack is perfect for storing things and the wheels make it easy to move the BBQ around. 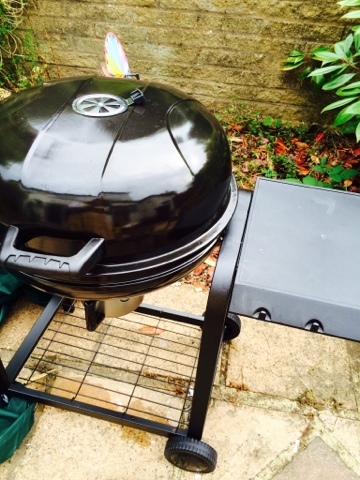 The lid also has a vent to help control the internal temperature. 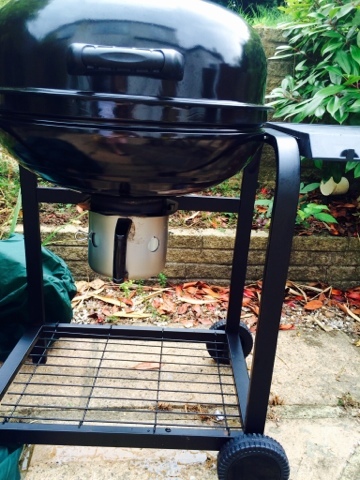 I absolutely love the two side shelves with this BBQ, they were another feature that helped me decide on this particular BBQ, they are easy to wipe clean plastic and have hooks built in too! 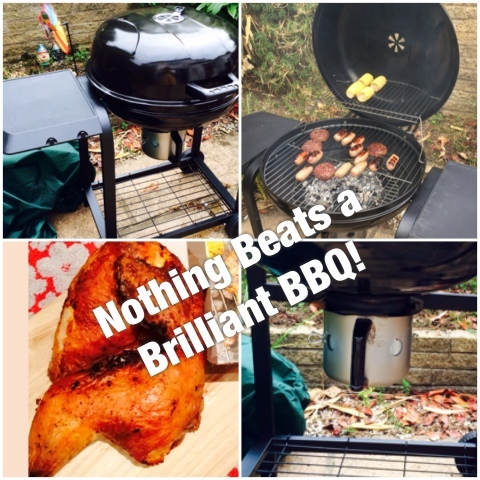 The food was absolutely delicious and a big hit with everyone - I personally prefer charcoal fuelled BBQ food - there's also lots of flavoured wood chips out there you can buy to further enhance the flavour too! I had bought the fast start charcoal bags where you just light the whole paper bag without needing separate lighters. 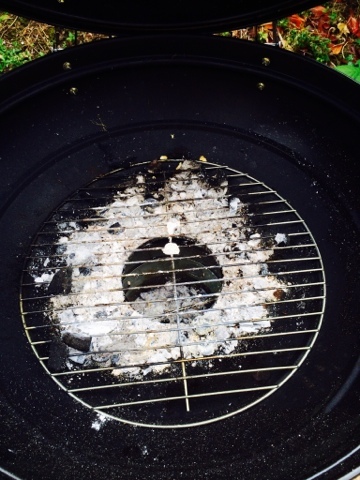 Its very fast and effective, but I did find that the charcoal grate holes are a little large and a lot of coals fell straight through so next time I'm going to cross a spare grate across. 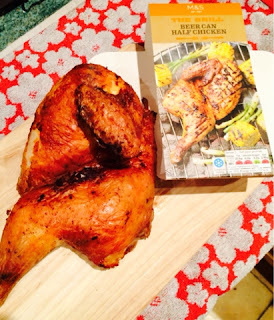 As well as the usually Corn on the Cobs, Veggie Sausages, Normal Sausages and Burgers, we also oven cooked the bbq finished off this lovely Beer Can Half Chicken from Marks and Spencer which is always a hit in our house! Overall, I'm impressed with the range, offers and speedy service from the lovely people at Primrose. I love the ash collector and the handy shelves. The warming grill shelf is a great plus point. The food cooked evenly and was tasty. I'd have liked the instructions to have been clearer and the parts to have been easier to fit. 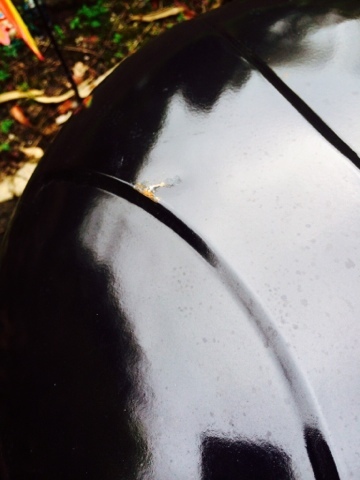 I was surprised by the dents in something brand new and the charcoal grate could have been better designed. Also by Primrose, is this brilliant social media platform dedicated to gardening, its a community site and described as a photo blog for your garden - think instagram meets pinterest meets Facebook, but for gardeners! I'm a complete novice gardener - I literally have no idea what I'm doing but I'm keen to lear, I want to create a great garden space that is safe for our young children to enjoy as well as being a space to entertain friends in! 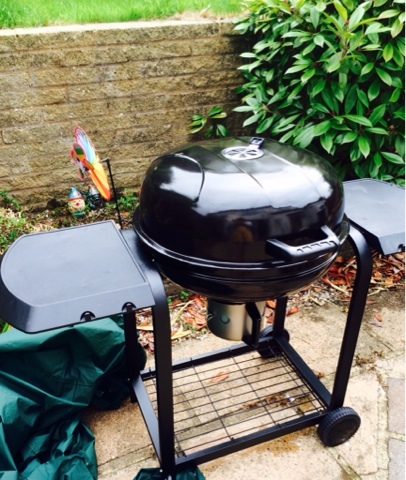 Primrose sent me the featured BBQ for the purpose of this article, all thoughts and photos are my own.